Blackjack is an exciting card game played in almost all casinos around the world. First-time players quickly understand the basic rules of the game and, more often than not, think that the game is all dependent on luck. Professional players, however, disagree. Whilst luck does play a small part in winning, proper practice and the use of certain strategies are ways how to become a pro in Blackjack. Players that want to become professional in this game need to understand the rules well. Every player knows about hitting and standing. However, a pro needs to also learn about taking insurance, splitting and doubling down. Understanding and practicing these techniques is vital to winning many more games. After learning the rules, the player needs to play and play and play. Practice is the best way to memorize the rules and polish the skills needed in Blackjack. Fortunately for players, the Internet is full of free online games, often run by big casinos. 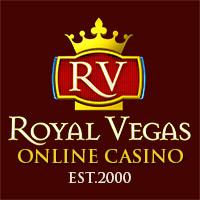 Players are even given free welcome bonuses where they can learn to play and gamble without losing any of their own money. There are numerous strategies a player can use and many are based on mathematical principles. They might seem daunting to learn for new players, but through practice and perseverance, these strategies can help the player considerably. Once the rules of the game have been understood and a suitable strategy has been chosen, the player needs to get the attitude of a pro. Being calm is very important as it helps the player make the correct, split-second decision, which can make or break their game. An amateur player might be tempted to stray from strategy due to a gut feeling, however, a pro knows that straying is taking an unnecessary big risk.